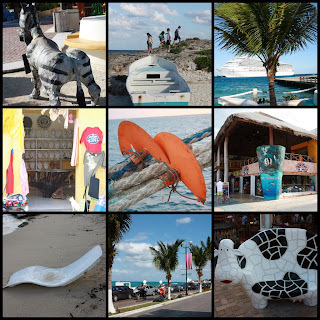 If you visit my blog this week you'll be in Cozumel Mexico! I am sure that there are readers who have visited as it is a popular cruise destination. This was the final stop on our cruise over Thanksgiving. 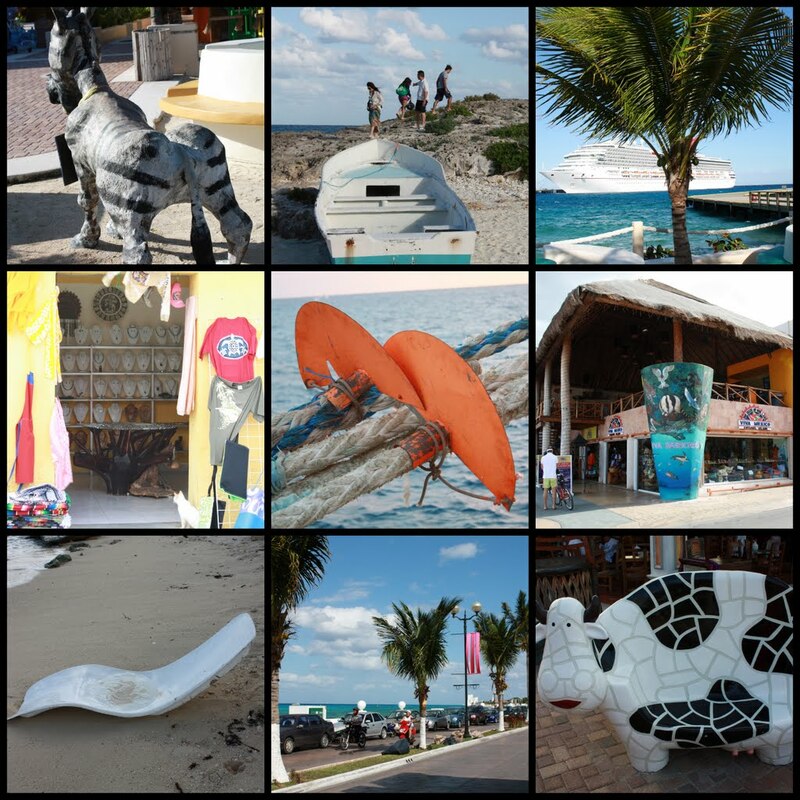 (We started in Miami / Fort Lauderdale, then to Grand Cayman, Honduras, Belize and finally Cozumel.) Enjoy! Hello Carly! Love your mosaic and blue monday, too. Have a great week! Wow, what a great posting of photos. How pretty. Happy Blue Monday! Pretty shot...Happy blue Monday. Mine is up. Great Captures! I am so inspired by your talent. all photos are gorgeous but my favorite is the coconut shot! Great mosaic. I love the last shot. So much wonderful shots that makes me smile just seeing them. Loving the sun & water. those are lovely Carly! with your photos, cant wait for the summer here! Looks fabulous! Have a wonderful week! Your B&W sea and sky is a beauty Carly. Great collection of photos. But, I have to ask what is that giant thing growing on the tree you posted for your MYM? I have never seen anything like it before. Where was this taken?